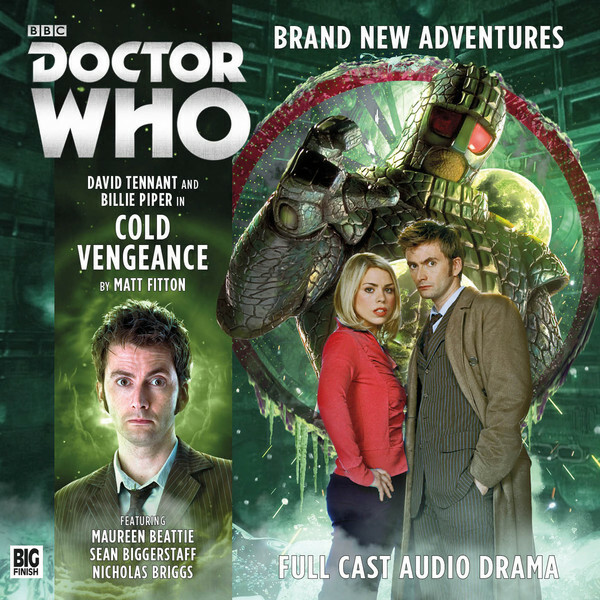 David Tennant and Billie Piper are accompanied by Sean Biggerstaff (Harry Potter) and Maureen Beattie (Doctor Who: Last Christmas) along with Nicholas Briggs as the Ice Warriors! hen the Doctor and Rose arrive on Coldstar – a moon-sized frozen food facility - they soon discover that space pirates aren’t the only unwelcome guests. An army of Ice Warriors are starting to wake up, and they are prepared to fight to the death to restore their honour... The Tenth Doctor and Rose have never met the Ice Warriors...until now! Set in the aftermath of a war between the Human and Martian empires, this base-under-siege has a sense of heart and moral complexity that sets it apart from other monster-driven tales.